The Prime Minister’s Prizes for Excellence in Science Teaching in Primary and Secondary Schools are awarded for excellence in teaching in any area of science that is part of the teacher’s state or territory science syllabus. The prize is awarded to teachers who have made an outstanding contribution to science education. The Science Teaching Prizes each comprise an award certificate, a silver medallion and lapel pin, and prize money of $50,000. Prize money is shared equally between the recipients and the schools in which they were teaching at the time of the nomination. The sharing of the prize money is to recognise and reward each Principal and school for their support and provision of facilities to the teacher that allowed them to achieve their results. The schools must use their share to enhance science learning in the school. In the outdoor classroom at Mount Ousley Public School in Wollongong, primary students are watching and recording bird sightings. They’re down at the beach assessing the level of marine debris. They’re reading, or just thinking, in the butterfly garden. “The outdoor classroom is probably my favourite place to be,” says Neil Bramsen, Mount Ousley’s assistant principal. And it extends far beyond the school. Students have talked with astronauts on the International Space Station and made global connections through Skype with schools in Africa and America. Over the past ten years at Sussex Inlet Public School and now at Mount Ousley,Bramsen has renewed science teaching across both schools, working with the NSW Science and Maths syllabi to create opportunities for primary children to work scientifically and technically across content areas. Students also link with peers around the world. They’ve Skyped with experts in Kenya, Yellowstone National Park, and various US states, presenting to each other on their local climate, geography, and wildlife. He actively shares all that he’s learnt with the wider community of primary school teachers through mentorship within the school, articles for the NSW Science Teachers’ Journal, his extensive personal website and social media activities, and presenting at conferences and demonstration classes. Within the school he has played a major role in curriculum development, in particular, finding ways to link the curriculum to the outside world. 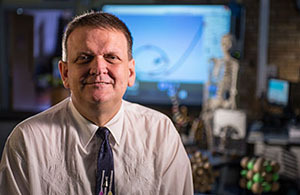 He uses every opportunity to introduce his students to working scientists, including lectures at University of New South Wales, Sydney Observatory, Green Point Observatory, and the Australian Institute of Physics. He’s working with the Science and Engineering Challenge, Growing Tall Poppies, bringing in forensic science incursions, and he’s sending students off to work experience at ANSTO, the home of Australia’s nuclear reactor. Then when the students return to school they report to their peers, to the teachers and to the parent community on what science is really all about. Twenty-five per cent of Year 10 students are now seeking science-based work experience, and this is leading to an increase in students doing rigorous science courses in Year 11. He is making real inroads in getting girls to engage in science. Six Year 10 girls recently attended a Growing Tall Poppies event at ANSTO. After the event they all reported that, for them, it had turned science from formulas to real world applications. All would now consider a career in science. McKay's impact reaches far beyond his school. 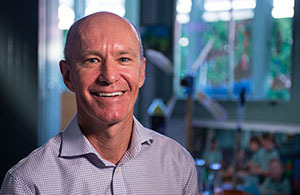 He has guided curriculum development and the future shape of teaching through membership of the Board of Studies, Teaching and Educational Standards NSW Science Reference Group, through work guiding state syllabus development and curriculum resourcing, and through a national pilot study of innovative online learning. He also mentors his fellow science teachers through his involvement in state and national science teacher associations and through the NSW Department of Education’s mEsh program developing programs involving flipped learning, pre-testing and other innovations.